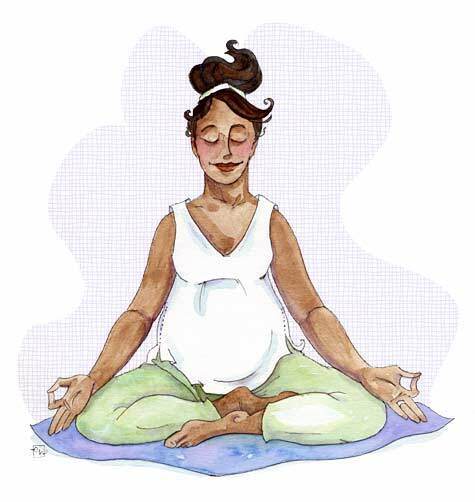 My illustration on an article about prenatal yoga in the latest Kiwi Magazine. This is way more serene than the yoga I do now, which I call "Combat Yoga" - where each of my children fight over how many of them can fit underneath me in any given pose. Sophie's favorite trick is to do the Downward Dog pose directly under me while I do it, and then Angela rushes and slides in on her tummy under Sophie (unless Peter beats her to it). No matter how precarious the pose or how many times I tell them that if I fall on them, I will squash them, they consider it a personal challenge to be as close to me as humanly possible. And don't even get me started on the fights they have over the bricks.